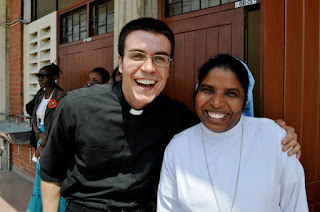 Called to be a Priest or Sister? Even at a young age I have always had a strong love for my Catholic faith, but the possibility of the consecrated life as my calling never entered into my mind. I always knew I wanted to become a teacher, and that was all I had ever thought about since my childhood. It was not until I was in my twenties that I even considered a calling to the consecrated life as a religious sister.